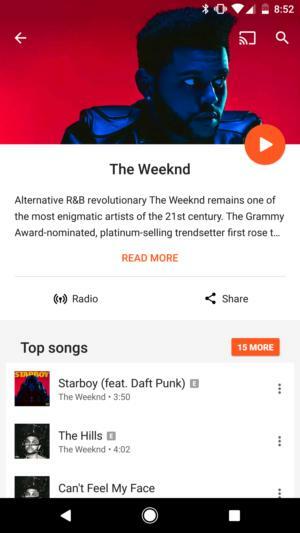 Google Play Music is a solid service, but it needs a major rethink for Google to gain traction against more popular streaming competitors. Google Play Music is a pretty great streaming service. But you may not know it, because all the attention goes to Spotify and Apple Music. That’s where artists, labels, and marketers tend to publicize, and if you sneak a look at most people’s phones you’ll generally see they’re using one of those two services. Google isn’t exactly at the top of the charts when it comes to streaming music. The company has never released subscriber numbers, while Apple Music and Spotify are constantly boasting about their own triumphs. 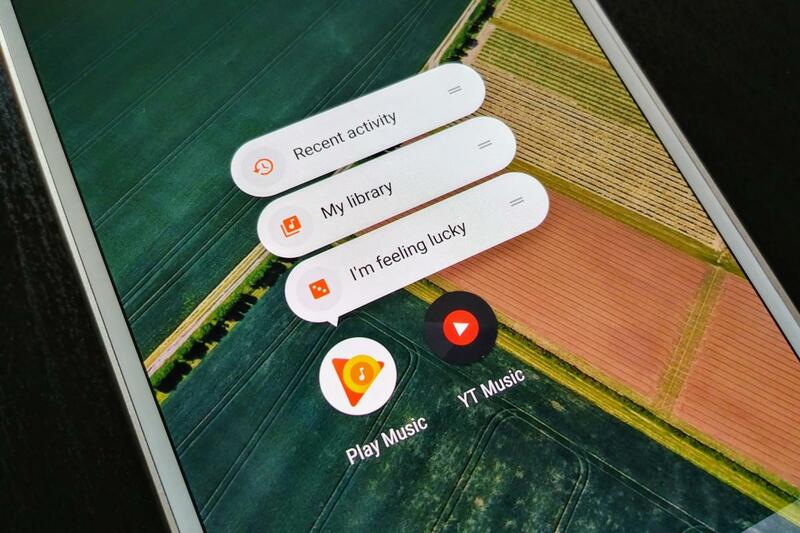 And Google is practically begging you to give Play Music a try. If you buy a Pixel, you get three months free. From time to time the offer will swell to four months. You also get it if you subscribe to YouTube Red. If customers are beating down the door to try your product, you don’t have to try so hard to give it away. What’s the solution? After the many years I’ve enjoyed the service as a subscriber, I have a few ideas. It’s been said that Google likes to have two of everything. There’s Gmail and Inbox. Google Maps and Waze. Hangouts, Allo, and Android Messages (OK, sometimes more than two). Same story here, with Google Play Music and YouTube Music. The latter is an attempt to capitalize on the enormous music video catalogue that YouTube has. Yet in many ways it is a streaming service in its own right, as you’re able to create stations, like songs, and even build an offline mixtape to keep the music going when you’re offline. 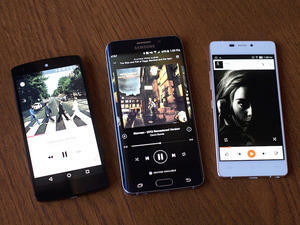 Google Play Music and YouTube Music approach streaming from different perspectives. 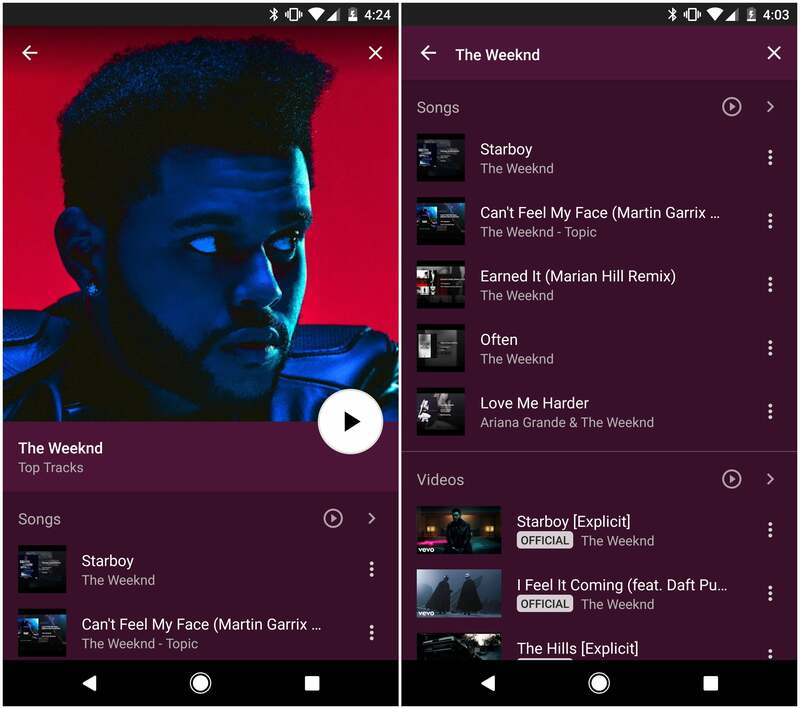 If you have a Google Play Music subscription, you get a few perks thrown into YouTube Music: no advertisements, continued playback while the screen is off, and the ability to create an offline “mixtape” for later listening. You also get access to YouTube Red, Google’s other subscription service with ad-free video watching and exclusive content that so far hasn’t been very compelling. You do get a lot with your $10 per month subscription when you count all three services, but it’s so spread out and doesn’t exactly feel well connected. It’s more like a hodgepodge of that doesn’t feel as valuable as a tightly-woven service like Spotify or Netflix. The reason Spotify and Apple Music work so well is there’s just one destination. There’s no separate app for videos, or separate apps with separate sets of features. Google’s duo of apps would be better together. For example, you can get videos in Play Music, but it isn’t easy. They only show up as part of a search result page, not in a section dedicated to a specific artist. Videos are a nice addition, but strangely they’re only found with a search inside of Play Music. Instead, the artist secitons feature songs and albums, but you’d think that they’d feature videos prominently. You’ll find all The Weeknd’s songs and albums, but no videos. There has to be a way to leverage YouTube’s strength in delivering music videos and the curated music powers of Google Play Music. If the company wants to be a player in this space, some dramatic actions are necessary. Spotify and Apple Music are clearly dominating, and if this goes on long enough then Google will be a permanent also ran. If you want to look at it like a sports analogy: the roster is there. It’s just a matter of getting the talent in the right place and working together more effectively for a better end product. 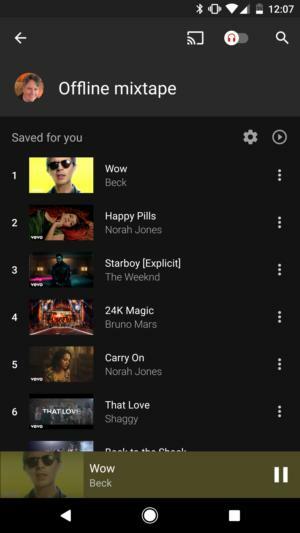 If I was handed the scepter to Google’s music kingdom, my first decree would be that everything be organized under one new ruler: YouTube Music. YouTube is perhaps Google’s most identifiable brand. Recent advertising boycott aside, there’s a reason that Google’s new TV streaming service is called YouTube TV and not Google Play TV: Live Streaming Edition (I wouldn’t doubt it if that’s on a whiteboard somewhere in Mountain View). Certainly there would be some growing pains, as there always are under a rebranding effort. Google may need to renegotiate some licensing agreements, as Google Play still manages what is probably a fairly successful digital music store given Android’s worldwide marketshare. And Google Play Music excels at letting you upload your existing collection, to be available everywhere. The ability to purchase tracks or albums and upload your own music would have to be a part of the new combined product. 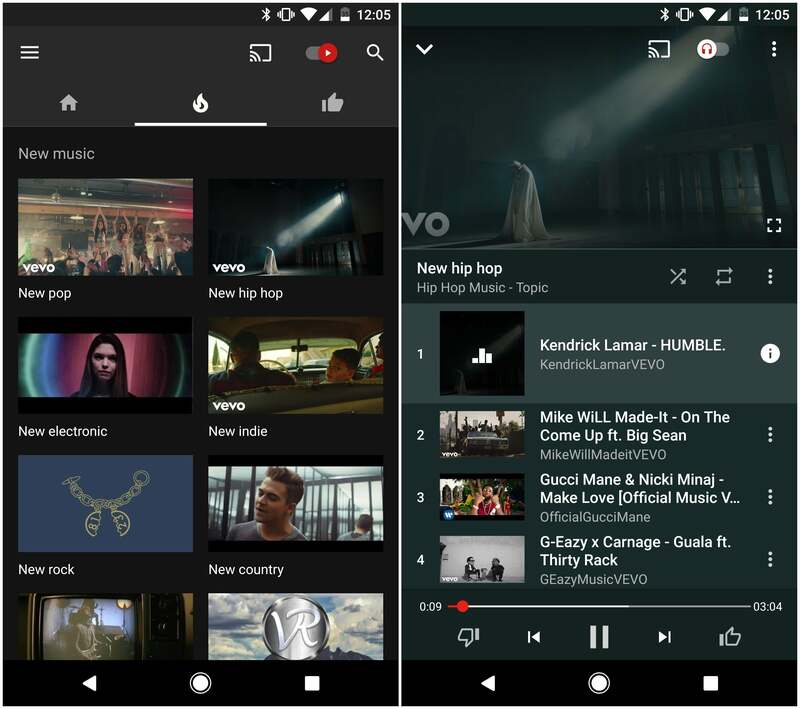 YouTube Music has most of the elements of a general music service, with better integration of the company’s video vault. Certainly there would have to be some contractual restructuring done as the services combine, but the legal details must come together in order for Google to deliver single product under the YouTube brand than the two separate music products it currently maintains. YouTube Music offers another advantage that you hear Google talk about all the time—it’s mobile first. There’s no desktop version, so the existing Play Music web app would need to be rebuilt. It sure could use less orange, and the dark interface of YouTube Music might make Spotify users fell at home. But the big payoff for Google is probably the potential to get bigger, better data from both video and music consumption habits. There have been hints this could be the end game. 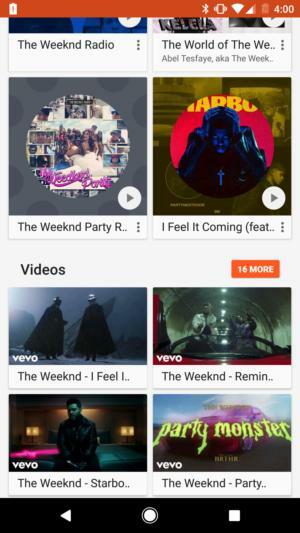 Google has combined the teams for YouTube Music and Google Play Music into one unit. CEO Sundar Pichai also alluded to coming changes during the fourth-quarter 2016 earning call. Google Play Music has strong music-curation algorithms. That Songza acquisition has paid off, and I’ve found over time I can launch a music station and let it keep going without needing to skill through songs I don’t like. But through my own experience, I believe that YouTube Music does a better job with discovery. It reminds me of how Spotify puts new artists and genres front and center. It brings out that magic helping you find things you didn’t know you wanted to listen to. YouTube Music excels at letting you browse genres and find hit songs. And there’s that toggle: YouTube Music already knows how to translate videos into an audio playlist. You kind of get the best of both worlds here, with videos providing another avenue to find songs, while you have a lot of curated content. The offline mixtape seems like an odd throwback name, but it’s an easy, one-stop shop to give you a dedicated listening station for when you’re offline. Too often I’ve been at the airport, scrambling to connect to Wi-Fi so I could download music before heading off on a four-hour flight. The offline mixtape serves as an audio playlist that’s always available. Given the evidence from Google’s past statements, this is the direction things may be going. If not a full-blown merger, Google should at least bring some of the best parts of each service in support of one another. The Songza acquisition really helped Play Music, and having the world’s largest video service should be used more effectively to encourage artists to make it their home. It won’t be long before Google will be angling for subscribers to its new YouTube TV service. 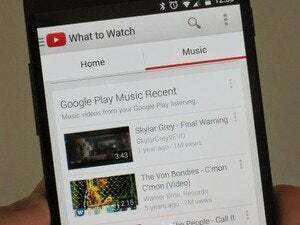 Nothing would make a better companion than a revamped and compelling YouTube Music. There are already bound to be ties between the television and music services, such as streaming channels or extra perks for those who subscribe to both. 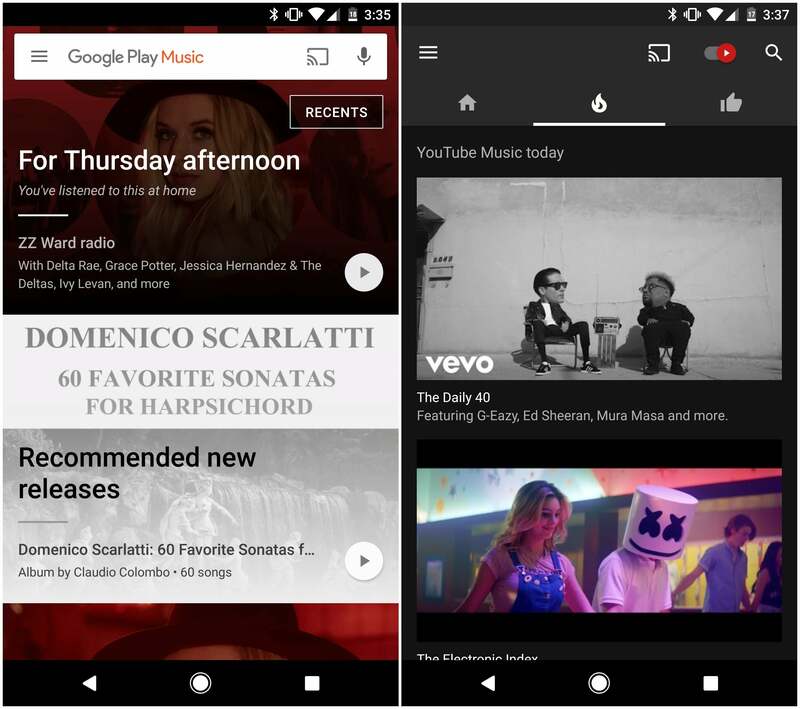 Along with being less of a mouthful than “Google Play Music,” “YouTube Music” is a stronger brand and has the potential to offer the kind of unique experience that would set itself apart. It sure seems Google wants to be in the content business for the long haul, so it’s a matter of piecing all this together to make a more attractive package.